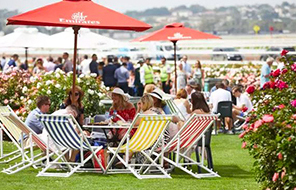 Nominations have today closed for a trio of feature races at Flemington, with some of the country’s most exciting horses set to line up in the Australian Guineas (1600m), Seppelt Newmarket Handicap (1200m) and TAB Australian Cup (2000m). Precociously-talented colt The Autumn Sun could increase his tally of Group 1 wins after he was nominated by his trainer Chris Waller for both the $1 million Australian Guineas (Saturday, 2 March) and the $1.25 million Newmarket Handicap (Saturday, 9 March), which have attracted 120 and 65 entries respectively. 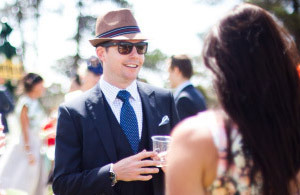 That represents an increase on last year’s numbers, with the Australian Guineas increasing by eight entries and the Newmarket Handicap going up by nine nominations. 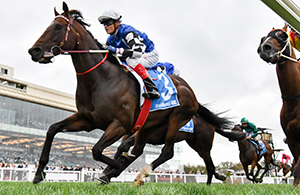 The Autumn Sun, who is yet to race at Flemington, is one of 29 All-Star Mile nominees who could use the Australian Guineas as a final audition for the world’s richest mile race, which takes place two weeks later on Saturday, 16 March. They include Vassilator (trained by Colin Little), who chased home The Autumn Sun in last year’s Ladbrokes Caulfield Guineas (1600m); the Murray Baker and Andrew Forsman-trained Madison County, New Zealand’s leading three-year-old who claimed back-to-back Group 1 wins in his homeland in the Two Thousand Guineas (1600m) and the Levin Classic (1600m); Tony McEvoy’s flying filly Oohood, who broke through for an overdue win at racing’s highest level in last year’s Flight Stakes (1600m); and Mystic Journey, the talented three-year-old trained in Tasmania by Adam Trinder who has won three of her last four starts, including most recently the Group 2 Fillies Classic (1600m) at The Valley. Waller is keeping his options open with The Autumn Sun, who is also entered for the Newmarket Handicap as is his Group 2-winning stablemate Zousain, who has three runner-up finishes to his name in Group 1 company but is yet to break through at the elite level. Zousain chased home another of Zoustar’s progeny, Sunlight, in the Group 1 Coolmore Stud Stakes (1200m) at Flemington on his last start, and McEvoy’s stable star is aiming to add the Newmarket Handicap to her impressive CV after she was amongst the nominations for Australia’s most historic sprint race. Other notable nominees include two-time Newmarket Handicap winner Redkirk Warrior, one of 14 All-Star Mile nominees in the entry list; his Group 1-winning stablemate Vega Magic; Brave Smash, Land Of Plenty and Nature Strip from Darren Weir’s all-conquering yard; the 2018 Golden Slipper Stakes (1200m) winner Estijaab (trained by Team Hawkes); Grahame Begg’s stable star Written By, the winner of last year’s Ladbrokes Blue Diamond Stakes (1200m); Kris Lees’ Group 1-winning duo In Her Time and Le Romain; Anthony Freedman’s elite performers Shoals and Santa Ana Lane; and Godolphin’s Group 1-winning galloper Kementari. Godolphin also holds a very strong hand in the $1.5 million Australian Cup, the second Group 1 contest on ‘Super Saturday’ which has drawn 74 entries – an increase of 21 one on last year’s tally of 53. The 43 All-Star Mile nominees in the Australian Cup entry list include Alizee, Best Of Days and Hartnell. They were joined in the list by their stable companion Avilius, a winner of four straight races last year including the Group 3 Bart Cummings (2500m) at Flemington during the Spring Racing Carnival. Mick Price’s Grunt, whose two Group 1 triumphs have both come at Flemington, has also been entered for the weight-for-age feature along with Lexus Melbourne Cup (3200m) winners Almandin and Rekindling, both owned by Lloyd Williams and trained at Macedon Lodge by Liam Howley. AAMI Victoria Derby (2500m) winner Extra Brut and the highly progressive Ringerdingding are amongst Weir’s impressive list of nominations; Lindsay Park’s team includes last year’s Australian Cup hero Harlem, two-time Group 1 winner Redkirk Warrior and the enigmatic So Si Bon; Waller’s army of nominees is headlined by Shillelagh, Unforgotten and Tom Melbourne, one of the most popular horses in the country; and the Trent Busuttin-Natalie Young training partnership have entered Main Stage, part-owned by Richmond FC star Dustin Martin. 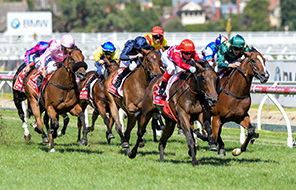 To view the full list of nominations for the Australian Guineas, please click here. 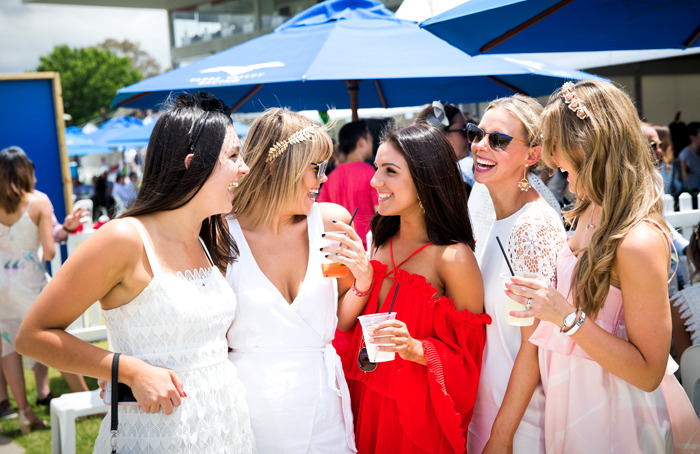 To view the full list of nominations for the Seppelt Newmarket Handicap and the TAB Australian Cup, please click here.